The Blakeney Memorial is a plinth with two plaques on a cement base, with a pair of benches next to it. 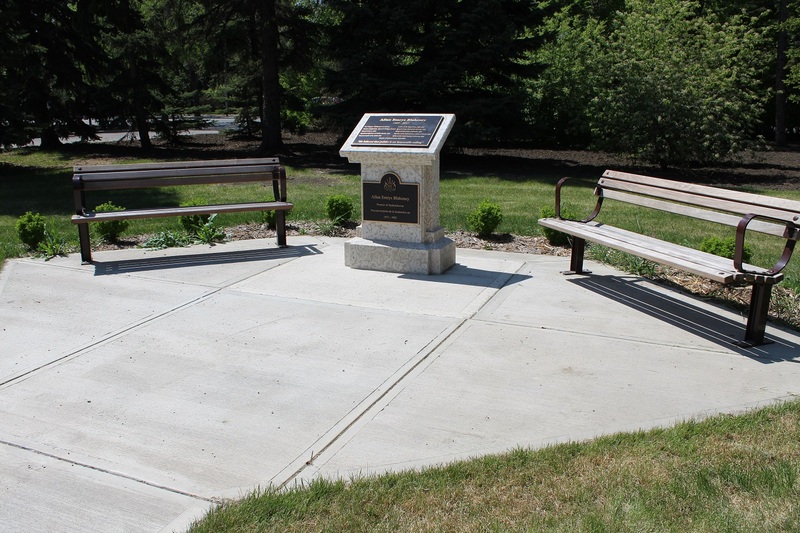 It is located southwest of the Saskatchewan Legislative Building near the corner of Memorial Way and MCCallum Avenue in Wascana Centre. Born in Bridgewater, Nova Scotia on September 7, 1925, Blakeney was first elected as an MLA in Saskatchewan in 1960 and served as the provinces’ premier from 1971-1982.